Home » Blog » Is it Time for a Revival? Is it Time for a Revival? You know that your smile says a lot about you. Its brightness sends a message that you are warm and caring. The straightness of your teeth tells people that you take good care of yourself, and even that you are successful. But if bad breath is behind a beautiful-looking smile, it’s high time for a revival. Bad breath puts a wall between us. If bad breath becomes a chronic problem, it may cause you to avoid getting to close to others; you may cover your mouth with a hand in hopes of keeping breath under wraps. There are better things you can do. Taking care of a breath problem can mean better interactions and higher confidence. First, you have to find out the originating issue. Breath is susceptible to the microorganisms that naturally live in the mouth. We usually discuss oral bacteria as it pertains to gum and tooth health, not as it pertains to the breath. However, hygiene is one of the first things to revisit if odor becomes a constant concern. The reason we brush our teeth is not only to remove debris from foods and beverages, but it is also to diminish the numbers of bacteria that are sitting stagnant in the mouth. Brushing is something to take your time with – two minutes of time, to be exact. Similarly, flossing provides necessary removal of bacteria from the gum line and in between teeth. Skipping this step leaves odor-causing microbes where they don’t belong. Finally, a common gathering place for bacteria is the back of the tongue. Using a scraper, it is possible to remove bacteria to prevent odor. Bad breath could indicate a degree of “bad health” in the mouth, or in the body. More people are becoming aware of the fact that breath is a good indicator of some conditions. Gum disease is a prime example. When the tissue in the mouth develops any degree of infection, this may first become apparent through the breath. Health issues such as diabetes, as well, often send indicators through the breath, sometimes through unique scent. Don’t struggle with bad breath. 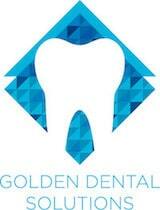 Schedule a visit to our Golden office for personal and friendly care that resolves your concerns.